shirt. . Images in the DARA 2NE1 club. 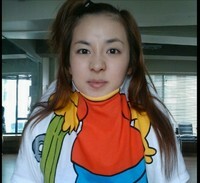 This DARA 2NE1 icon contains portrait, headshot, and closeup. There might also be top and leisure wear.